One of the most common challenges I see with Office 365 is the ability to easily share contacts throughout your organisation. Yes, you can do with with Exchange Public Folders. 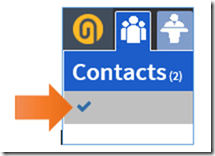 Yes, you can do with SharePoint contacts but here’s an even easier way, using Attached Apps. The great things about the Attached Apps shared contacts setup, is that it is free! The idea is that you’ll get hooked on the Attached Apps platform and use some of their other great offerings. I must admit I had a little trouble getting the Attached Apps stuff up and working initially so I contacted them and they helped me get it sorted. Now as I like doing, I put all the information together in a simple step by step process you can follow which I have detailed below. Having seen what the Attached Apps stuff can do I decided that it is an excellent offering for customers and for resellers as well. So if you looking to get set up as an end user then contact me (director@ciaops.com) and I can help you. To sign up you select me when you get to Question 3 above. I’d really appreciate it and lets the Attached Apps folks know where the business is coming from. I’ll be posting more about my journey with Attached Apps so stay tuned, but here’s how to get the ball rolling. Scroll down the home page and locate the Get the App Now button and select it. Complete all the details in the sign up form. Note that you will need to supply an Office 365 Global Administrator login and password to allow Attached Apps to me installed in the tenant. Also be aware that you can only use a contact email address once, so if you have signed up previously for Attached Apps you will need to use a different email address in your contact details. At the bottom of the form select he Register button. You will now need to wait a few moments while the software verifies access to your Office 365 tenant and then configures itself. Congratulations! We have successfully provisioned your firm for attachedapps. As an Administrator for the apps, you should have received a batch of credential emails, one for each user on the Exchange account used for provisioning. You can forward those credentials to the users you wish to have access to the apps. Please download the Getting Started Guide from our website. It will expedite productive use of the apps and provide tips on customization for your specific business. You will also find instructions for enabling the paid applications. 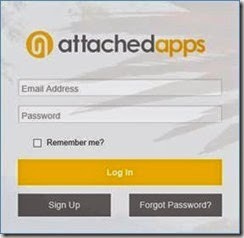 Please email us at support@attachedapps.com if you have any questions at all. 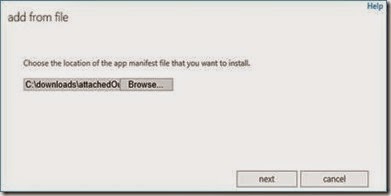 The next step in process is to configure your Office 365 tenant so that the Attach Apps configuration and abilities are automatically pushed out to all your users Outlook desktop client. which will download a file called attachedOutlookMail-Prod.xml. Save this file to your local machine. 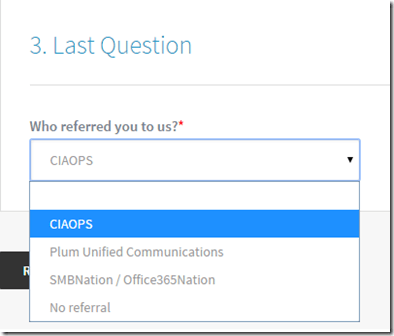 Login to your Office 365 tenant as a Global Administrator. Select the nine boxes in the top left of the windows to display the My apps menu as shown above. From the options that appear select Admin. In the lower left of the window, under the Admin section, select Exchange. In the Exchange admin center select organization from the options on the left. Then select apps from the options across the top. You should then see a list of apps that are provided to everyone who uses Exchange, one of these typically is Bing Maps. From the menu just above the select of app select the down arrow just to the right of the + (plus) symbol. This should reveal a menu as shown above. From the menu select Add from file. Use the Browse button to navigate to the location on your local machine where you downloaded the file attachedOutlookMail-PROD.xml previously. With that file selected press the Next button to continue. When the upload process is complete you should now see a new item called attachedcontacts listed as shown above. Select this item by clicking on it. Then select pencil icon from the menu just above the list to edit this entry. From the window that appears select Mandatory, always enabled. Users can’t disable this app and then the save button to complete. You should now see that attachedcontacts is set to Mandatory and Everyone as shown above. and select Log in in the top right of the window. Your company has just signed up to use attachedContacts, the powerful yet easy-to-use contact management system that lets you share company contacts across your organization while keeping all your personal contacts private. 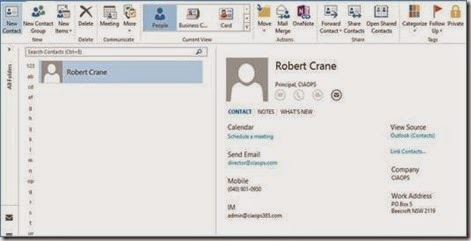 Plus, it’s designed to work closely with Outlook, so you don’t have to change the way you like to work. Edit company contacts once – the updated contact info will be reflected everywhere! We use attachedContacts in our own company and are constantly improving it. Our mission is to eliminate the technical obstacles to your greatness! So join us, let us know how we are doing and what else we can do to improve your work life. Want to know more? See these FAQs on our support site. These are the logins that are used for each to access the Attached Apps portal via the Log in link just selected to provide access to all the Attached Apps functionality. 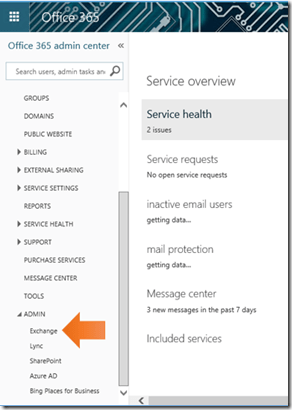 Login now with the information provided to an Office 365 administrator. 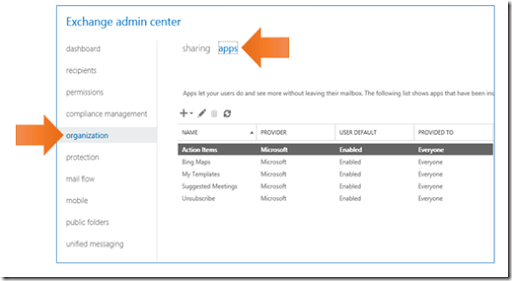 Remember, the Attached Apps login is different from the standard Office 365 portal login. Once successfully logged in you should see the Attached Apps dashboard or something similar. If you select the first icon after the Attached Apps icon in the upper left of the window, this will take you to the Contacts page. In most cases the only contacts that will be displayed are any existing Exchange Online users as well as the email address you used to sign up initially. 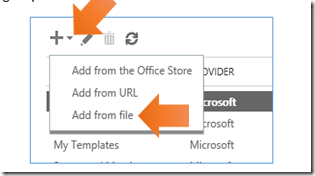 To import contacts from the current users Outlook select Outlook Import from the menu across the top. Ensure that Outlook is running on the desktop. In most cases you want to select the Import All button to copy all the individual users contacts to Attached Apps so they can be shared. 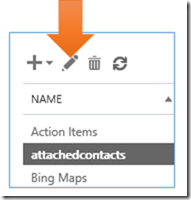 You can also select the Fetch Contacts if you wish to only upload selected Outlook contacts. In this example, the current users only has one Contact as shown above. This contact is unique to that user currently but will soon be uploaded for all to share. After pressing the import button you will see a confirmation message appear at the bottom of the windows. Select Yes to proceed. You will then receive a confirmation message at the bottom of the screen confirming the import process has commenced. This process will continue in the background so you can close the alert and continue. The import of the contacts will take a few moments to complete and the time taken is dependent on how many contacts are to be imported. Once the process is complete you should see that the uploaded contacts have been designated as Attached Apps contacts (i.e. shared) by a small graphic and line underneath the contacts image as shown above. If you now look at Outlook for a different user you won’t see that the uploaded contacts have been sync’ed down. To do this you will need to log into the Attached Apps portal and force the update. Once you have logged into the Attached Apps portal select the Contacts icon again (in the top left) to view all the contacts. Just under the heading you will notice a check mark as indicated above. 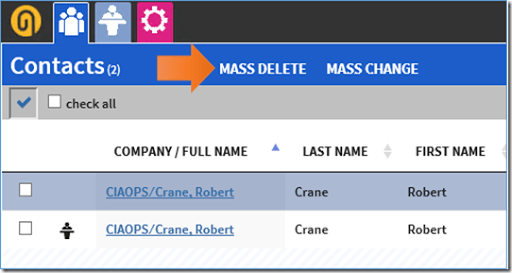 Once you select the check mark you will see the menu change and display the options to either Mass Delete or Mass Change. Now make the required changes to all the records desired. In this case make sure that all the contacts have the Sync option selected. Once you have made any changes, select the Mass Change option from the menu bar. 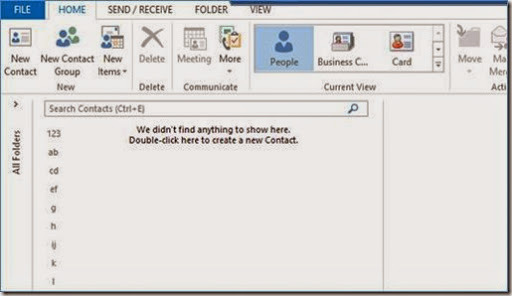 At this screen ensure that the option Sync to Outlook is selected and checked as shown. Then select the Apply Changes button. You will receive at confirmation message at the bottom of the screen. Select Yes to continue. You can also force a sync of individual contacts if you wish. To do this, navigate to that contact and select the Staff Sync tab as shown above. 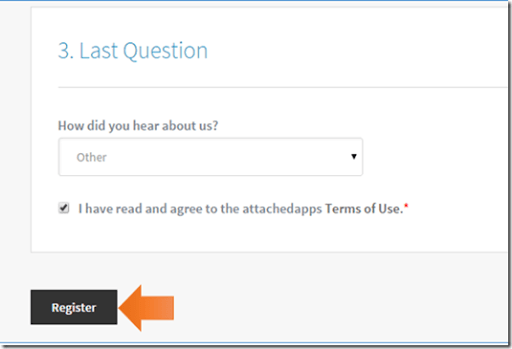 If you now return to second users Outlook, after a few moments the shared contacts should now appear and be designated as Attach Apps as noted previously. Remember, if you do sign up don’t forget to mention me and look out for more posts on Attached Apps coming soon.